Our injury lawyers address all of your post-injury needs so you can get back to feeling the same way you did 5 minutes before the accident. The Stone Cold Guarantee guarantees that WE get paid only after YOU get paid and you never have to reach into your pocket to pay us. If you need legal help after an accident or injury, you Better Phone Stone. 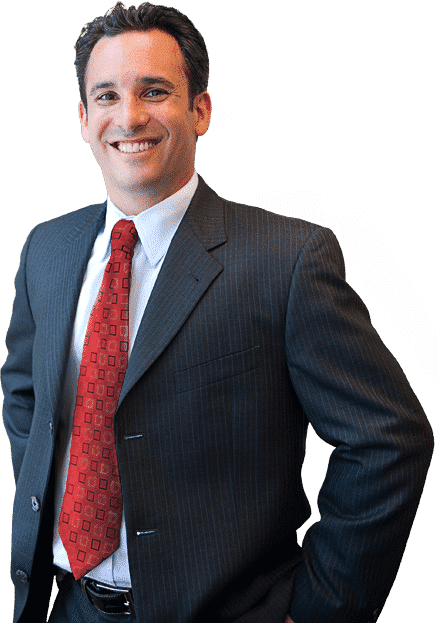 Since 2004, our Boston personal injury lawyers have focused on getting victims like you as much money as possible, as quickly as possible. We know you’re hurting after your accident. We know you would rather go back in time and have the accident never happen. Since we can’t do that, our personal injury attorneys can only work to get you compensated for everything you are experiencing. We know what it takes to make sure your injuries are properly documented and that there is evidence of what you are going through. Whether we’re helping you arrange medical care, standing up to the insurance companies, or even taking your case to trial, you can count on us to allow you to focus on getting better, while we focus on getting you paid. After an injury, it may not take long to start receiving calls from the other party’s insurance carrier. Are you prepared? Read about the 12 facts you need to know here. From the moment you have a car accident, insurance companies are looking to limit your recovery. Property insurance companies may try to make sure you recover as little as possible for your injuries after a slip and fall. If your loved one was killed in an accident, call Jason Stone Injury Lawyers to learn more about how we can help. Every year, thousands of innocent drivers are injured in traffic accidents involving trucks. From car parts to medical devices, if you’re harmed by a defective product, you may have the legal right to compensation for your injuries. We understand that the discovery of nursing home abuse or neglect can have devastating effects on families. If you’ve been injured from someone else’s negligence, we can get you compensated. Jason Stone Injury Lawyers is celebrating the holidays by giving back to the community. Instead of holding a typical company holiday party, on December 8th Jason Stone Injury Lawyers teamed up with HopeWell, formerly Dare Family Services, to donate bicycles to foster children. Jason Stone's team built 8 bicycles as part of a team building event prior to the holiday party and HopeWell will give them to various children in DCF custody. By combining the holiday party in which we recognize our year-long accomplishments with the bike building and donation program, we hope that this program can add to the holiday spirit of those Bostonians in need. Jason Stone and staff were instrumental in helping us obtain Social Security Disability income for our son. They explained the process clearly and concisely, guided us through the forms, contacted his doctors, and filed the paperwork—all in a timely manner. The process took four months total from beginning to end, and we received benefits beginning at the end of the fourth month. This is absolutely exceptional for anyone to get approval in this short of a time frame. My understanding of the process from other people and lawyers is that initial requests are always denied, and the vast majority of cases must be appealed, and it’s a long haul that can take years. All I can say is, they were outstanding. On March 7, 2013, my wife and I got in a car accident in Everett, Massachusetts. We were both hurt—my wife having more serious injuries because she hit the dashboard and had to be taken by ambulance. She was bleeding from her mouth and they noticed she had lost her front tooth. Concerned about her well-being, she was taken away by ambulance, and a couple days later, I went to the hospital. I hired Jason Stone and met with David DiCenso. He was so knowledgeable and very caring, and kept asking about the well-being of my wife, because she was not only hurt in the accident, but was very sick as well. He took his time, always kept me informed, and always returned my calls the same day. All I have is good things to say about this law firm. I can’t thank them enough for what they did for me. I would not only recommend them to friends, family, and others, but would use this law firm if I was to ever need a lawyer again. Thank you for a job well done to the law office and staff at Jason Stone. Jason and his associates and staff are communicative, patient, and thorough. They regularly checked my understanding and expertly guided me through the intricacies and options involved. My experiences with them have been most successful! Jason Stone Injury Lawyers was diligent and focused. Tara Briggs’ diligence, knowledge, and communication were top-notch. She kept me very well informed of every step of the process and did everything possible to get me the money I deserved. I would absolutely recommend this firm to my closest friends and family. Michelle handled a case for me a few years back, and I was amazed by how genuine she really is. I have now contacted her regarding another matter, and she has started proceedings for me on this accident that I had due to negligence. She keeps me very informed, explains every next step that is occurring, and even when I call her to just check in occasionally, she reviews everything again, even if she had already explained it to me previously.